The heat of summer is only getting more intense as we approach midsummer. In order to survive the scorching heat, various cold drinks, such as shaved ice and ice pops, become indispensable. Perhaps it’s also a habit of many people to grab some ice cubes from the freezer and eat them after getting out of the shower. Watching polar bears and penguins playing with lumps of ice in the zoo this summer will make anyone want to cling to a huge iceberg. 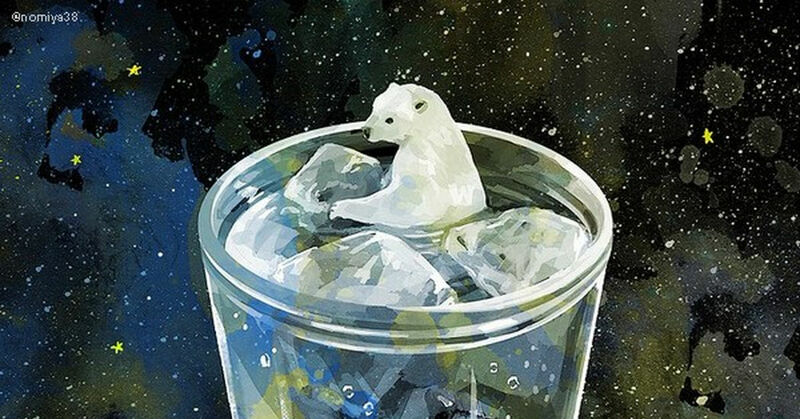 Today, we’re featuring illustrations of cold ice. The freezing temperature depicted in these illustrations is so tangible and we hope you’ll feel the cold, at least mentally. Enjoy!